Landscapes, especially wetlands, are my favorite subjects to paint. The diversity of colors, lighting, atmosphere, and reflections intrigue and fascinate me in their ever-changing qualities. I try to capture the essence and mood of the landscape with color and light. Its like looking through a window and expressing a moment in time. I began working in pastels in 2001. I am self-taught in the medium. I compose the artwork in my mind as I am walking and paint later from memory, sketches, and photos. 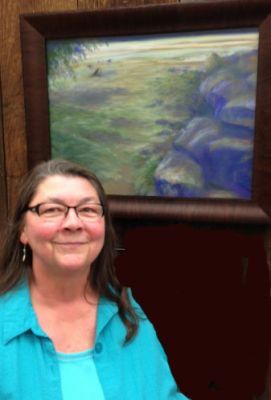 I create my pastel paintings to help me translate the sense of beauty I see and feel in the natural landscape.